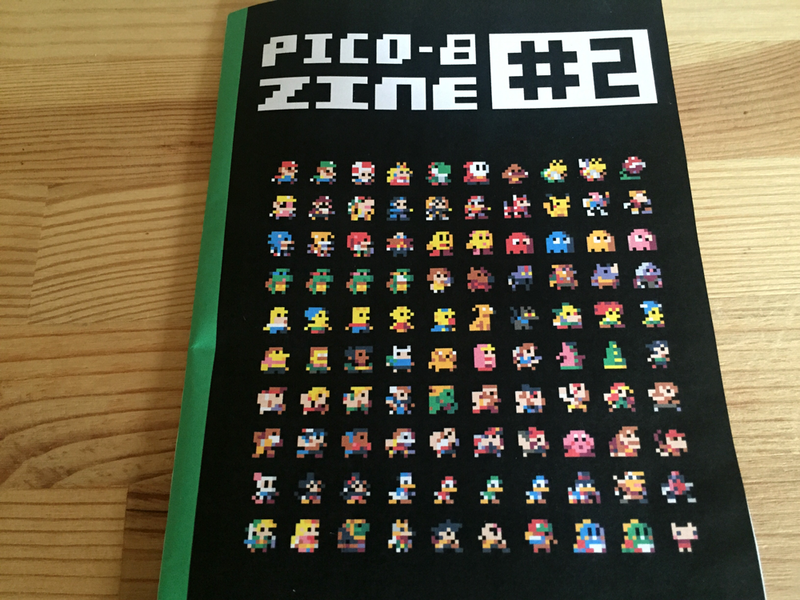 This is the Second PICO-8 ZINE! 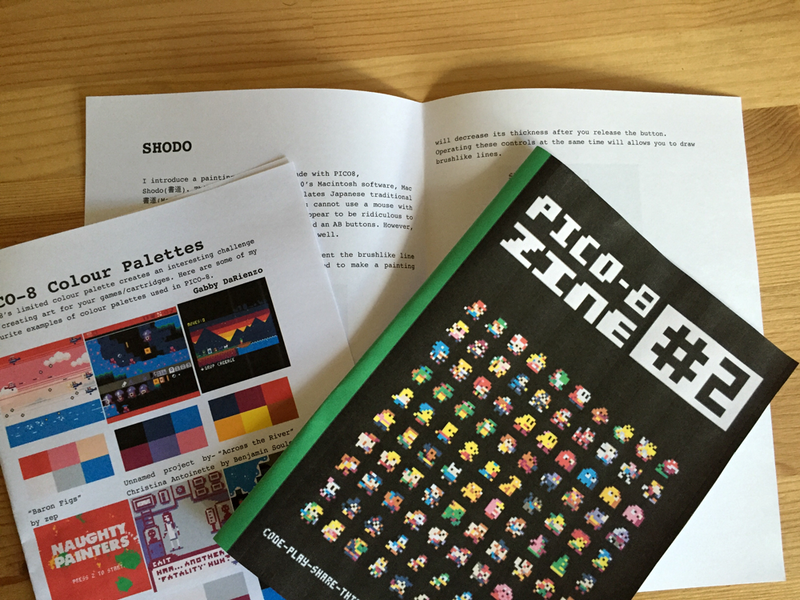 Enter the marvelous world of PICO-8 ! 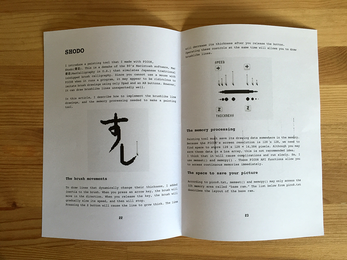 PICO-8 is a fantasy console to make, share and play tiny games and other computer programs. PICO-8 Zine is a 48-page fanzine made by and for PICO-8 users. 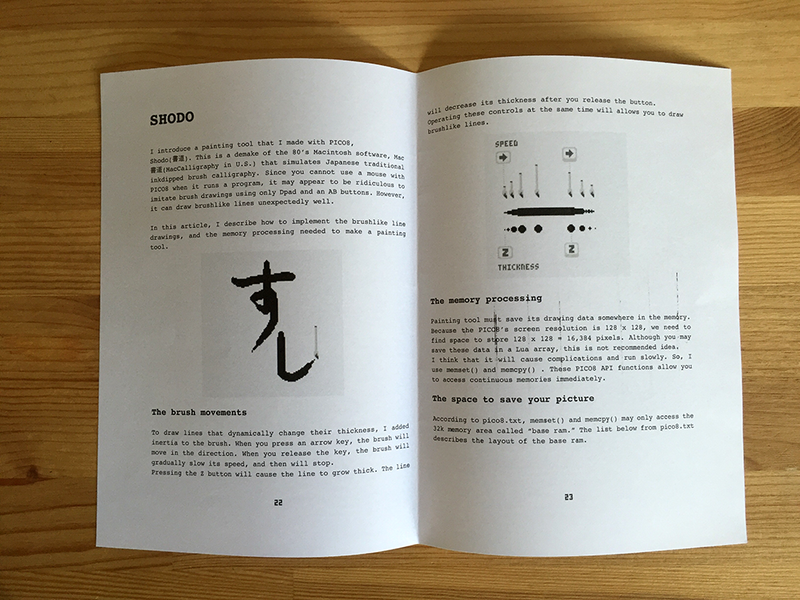 Learn how to make a game (from the code, sprite, music point of view) and discover the history of PICO-8.